Traditionally spinnakers were launched from a bag and dropped down through a hatch forward whence they were re-packed for use. 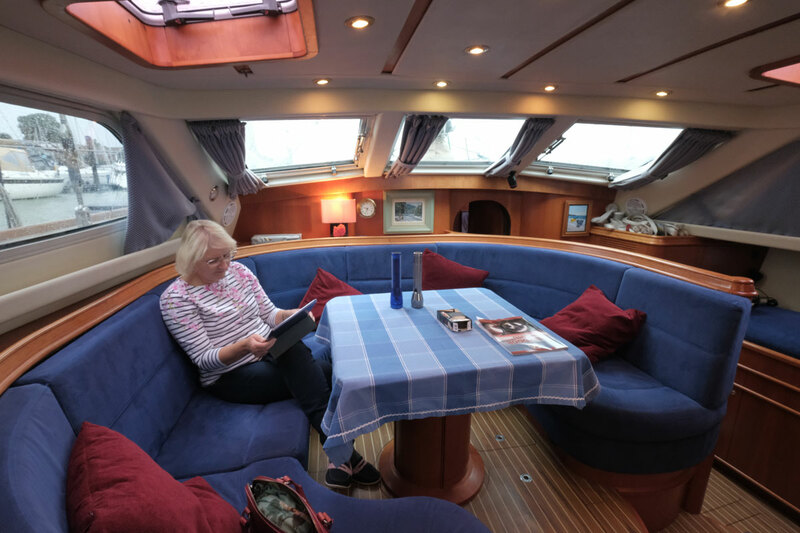 This is all very well for racing when you have a full crew on board but for a cruising couple it is impracticable. So someone invented the snuffer. This is a sausage of material that completely encapsulates the spinnaker. When the sail is deployed the snuffer rises to the top of the halyard and mast and the sail is deployed. 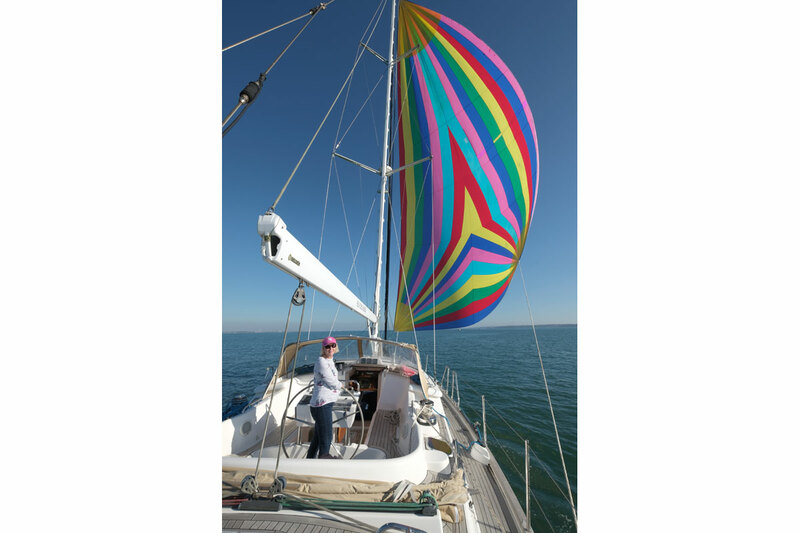 When the time comes to take the sail down, you have to release the guy and pull down on the lines attached to the snuffer and the sail is squeezed into the tube and the pressure is removed and the sail can be dropped onto the deck. Sometimes this can be difficult if the wind gets up even though the sail has spilt all the wind it can be quite a struggle to sniff it. On Sea Crusader the owners wisely chose to buy a top-down-furler. 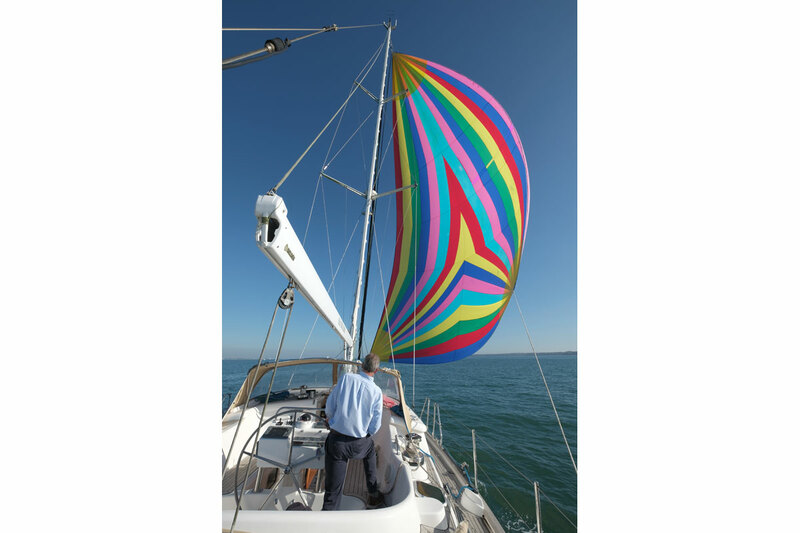 This is an arrangement where the spinnaker is furled in the same was as an oversized Genoa on a removable furler and bearing (At the top) which can be lowered straight into the sail locker. We had lunch in Osborne Bay but it was a little to crisp to site in the cockpit so we took advantage of our deck saloon and could have stayed there all night it was so pleasant. After lunch I hoisted the spinnaker onto out bowsprit and we raised the anchor and immediately pointed towards spinnaker tower as the winds were coming from the north west. 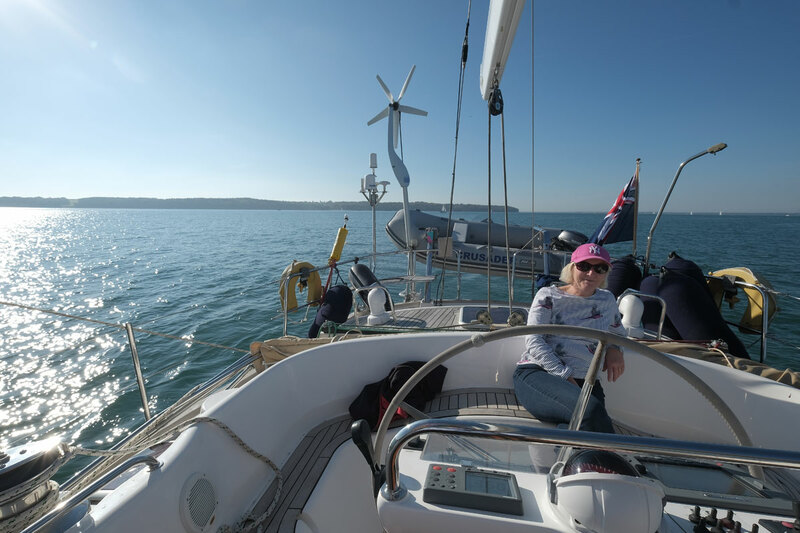 I pulled out all the sail in the starboard side and it set fantastically and we were soon doing about 6.5kts SOG in about 8kts of wind, I think we had about 2kts if tide with us. I soon realised that at this rate of progress it was going to take some time to get back against the tide so we tried to furl the sail. Unfortunately the top bearing was very stiff and I had to put on many turns to wind it up before the top bearing finally gave way and furled the sail. clearly something is not quite correct, either the bearing needs a service or the tension n the halyard was not correct. As soon as the weather improvers I want to investigate the problem as this sail is going to be one of our most used sails on passages.